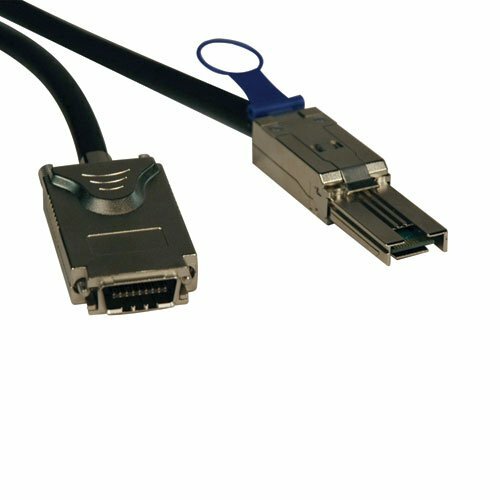 Tripp Lite's S520-01M External SAS Cable features "mini-SAS" SFF-8088 to SFF-8470 connectors with heavy- duty metal backshells. This 4-channel cable is constructed with a high-performance Infiniband cable, which features individually shielded parallel pairs, double EMI/RFI shielding and 6.0 Gigabytes per second performance. Compliant with the Federal Trade Agreements Act (TAA) for GSA Schedule purchases. View More In Mini-SAS Cables. If you have any questions about this product by Tripp Lite, contact us by completing and submitting the form below. If you are looking for a specif part number, please include it with your message.